From the early age of seven Robert Godin had already acquired a passion for the guitar, as well as some notable skills as a young player. By the time he had reached the ripe old age of fifteen he was integral to the operation of his aunt's music store and utilized his skills to both teach the finer points of guitar as well as repair damaged instruments. By 1971, after setting out on his own Godin had discovered the tiny Canadian village knows as La Patrie and began the inception of his first line of guitars known as the Norman Line. The company's ultimate goal was to produce guitars having some of the same qualities as more expensive guitars, but at prices that were more accessible to the working musician. In particular, Godin focuses on production of fine tops utilizing old growth wood and shimmering varnish finishes in order to produce the best sound and most beautiful acoustic guitars possible for the money. Godin guitars now produce a number of separate lines including Norman, Art and Lutherie, Seagull, Simon and Patrick, La Patrie, Richmond and TRIC each of which is handcrafted in Canada and exported all over the world to aspiring musicians like me and you. The Cedar Antique Burst has a solid pressure-tested Cedar top (perhaps that goes without saying, hmmm?) and 3-ply Wild Cherry wood back and sides. Wild Cherry when utilized as tone wood in instruments tends to produce pitches ranging between the subdued tones of Mahogany and the brighter crisper sounds of Maple. When synthesized with the Cedar top the sound tends to be well mixed and representative of treble, mid and bass regions of the sound spectrum. An arched rosette graces the top as well adding strength and beauty to the guitar, while the entire body is hand-finished with a semi-gloss varnish finish which helps the guitar to maintain sound integrity and beauty over time. The fingerboard and bridge of the guitar are composed of Redwood while the nut and saddle are both comprised of the bone substitute know as Tusq. The body of the Cedar Antique Burst falls under the dreadnought classification and measures 20.05" in length by 15.59" at the lower bout (the widest point of the guitar). The guitar is 4.91" and the neck measures 1.72" at the nut. The fingerboard possesses 21 frets 14 of which are accessible. 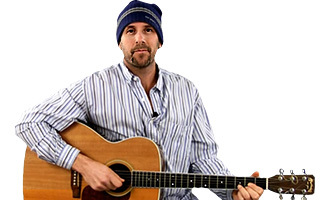 You've probably noticed by now especially from the title of the review that this particular guitar is designed for the left-handed player and features all of the amenities that any right-handed instrument does only... reversed. I manged to play the guitar as a lefty only in a limited fashion, but fortunately one of the guitar techs of the facility was on hand who happened to be left-handed and showed me his chops on the guitar as only a left-handed player could play them. 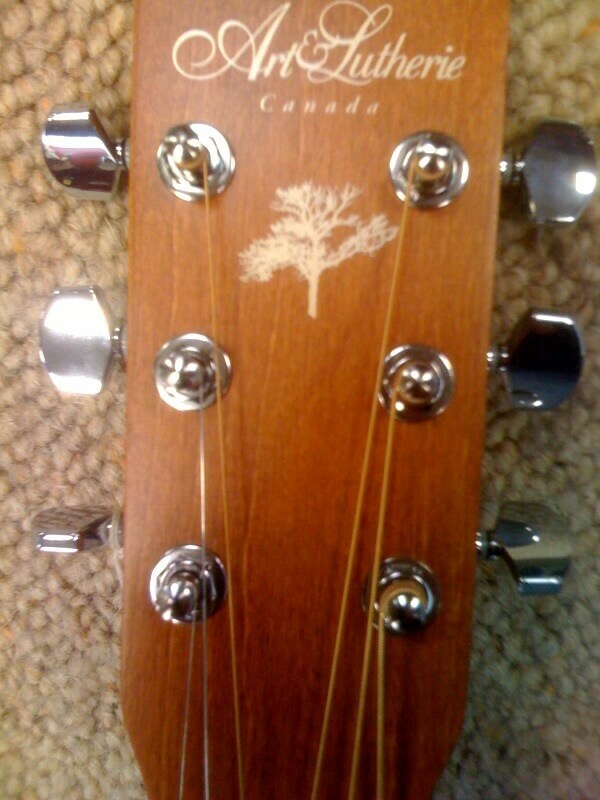 In addition to all of the above features, the guitar also features 14:1 ratio tuning machines on the tree-adorned headstock. The Art and Lutherie Cedar Antique is currently available for anywhere between $340 and $400 and is available in finer retail outlets in and around the world. The fine folks at Godin produce every one of their fantastic instruments with the highest of standards but with the budget of the aspiring musician in mind. Subsequently, the Art and Lutherie series offers the finest materials available assembled with expert craftsmanship, for the least amount of money. Once again Godin has done it! The Cedar Antique Burst has a marvelous balance between treble mid and bass values with rich bright sound. 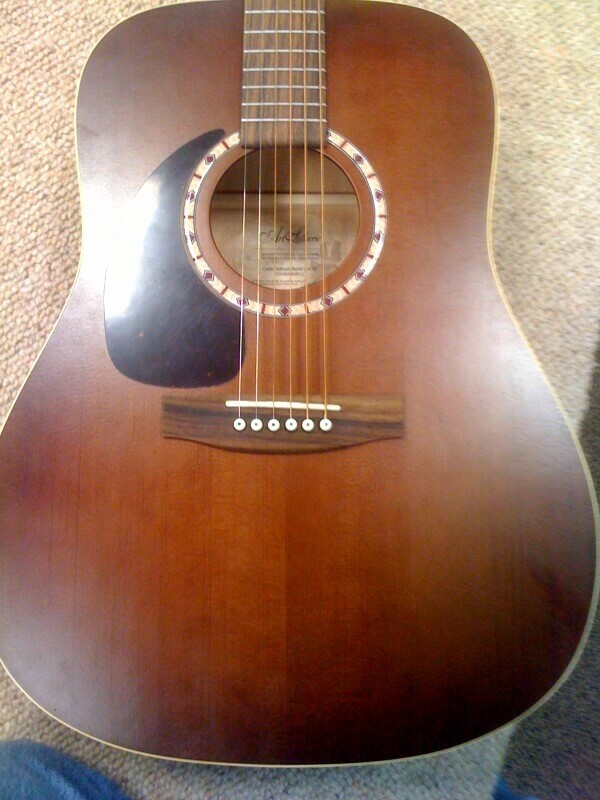 The guitar has a very earthy mid-ranged feel to it with great resonation qualities as well.